Now confirmed by the mainstream media by way of an article just published by The Broward Sun Sentinel, It’s been confirmed that Broward Circuit Judge John Contini has in fact resigned effective today, July 07, 2018, at 5:00 pm. According to The Sun Sentinel, the judge declined to comment Friday. Judge Contini when first elected was assigned to the criminal court. Soon after he found himself in a conflict with the Broward State Attorney’s Office over allegations that he was favoring defense lawyers. Contini, a former prosecutor and defense lawyer who was elected in 2014, angered the State Attorney’s office when he sent an email to an assistant public defender offering advice on how to write successful motions for reduced sentences. The State Attorney’s Office then sought to have Contini removed from all criminal cases, arguing that he could no longer be considered impartial. The Broward State Attorney’s Office along with the State Attorney General’s Office, filed a brief with the appeals court siding with Broward prosecutors. Then, in November of 2015, The Florida Judicial Qualifications Commission announced formal charges against Broward Circuit Judge John Patrick Contini, accusing him of providing one sided assistance to defense lawyers and acting unprofessionally toward prosecutors who formally complained about it. During a hearing, Contini called the Attorney General’s brief “a fraud on the Fourth DCA” and “a lie from the pit of hell.” He also threatened to remove prosecutor Joel Silvershein. Silvershein admitted helping the Attorney General’s Office compile a list of cases from which Contini should be disqualified. You can read our full story about this on our website. Click Here. A public reprimand before The Florida Supreme Court, on Tuesday, February 07, 2017. The judge is not saying right now, according to the Sun Sentinel. The resignation did take the Broward Courthouse by surprise. The judge was elected in 2014, so his term would not officially end until January of 2021. He would not face reelection until 2020. Rumors around the courthouse say there were more JQC complaints filed against him. Since JQC complaints are kept confidential unless formal charges are filed, there is no way to verify this. We can confirm at least one JQC complaint filed against him, however we must tell you that the person who filed the complaint, after learning the judge resigned, informed us they recently received a letter from the JQC informing her that they were taking no action on her complaint. It would seem the consensus is that like the complaint that brought about the reprimand before The Supreme Court, he was having a lot of trouble staying impartial. Perhaps his experience, and he did have a lot of that, had something to do with him having problems remaining impartial? 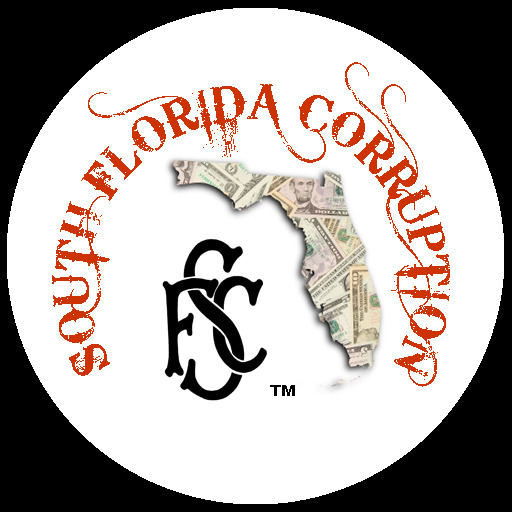 From 1983-1987: Contini worked for both the Fort Lauderdale assistant state attorney, and the Broward County State Attorney’s Office. Then from 1987-2014: He went into private practice where he was a successful Criminal defense attorney, John P. Contini & Associates, P.A. After the problems with the State Attorney’s Office, and the reprimand, he was removed from the criminal court, and placed in the family division. As you can see from above, “all” his experience is in criminal law, not Family or Civil. Once in Family Court, he soon started hearing complaints, motions for recusal, and accusations once again, he was not impartial. Judge Contini was well liked by many of his colleagues. He was known to be smart, intelligent and dedicated. One of the few attorneys in Broward who ran for office with a successful private practice. Many of them said he’s smart, he’ll figure it out. Even though the judge is resigning in the middle of his term maybe we shouldn’t be to harsh on him. He may have had a very noble reason for resigning. Maybe he couldn’t figure it out. After thirty years, most of his career, of defending the accused and oppressed, sitting in judgment over others just was not in him. If that be the case, we then commend the judge for having the courage to admit it and stepping down. We just obtained a copy of judge Contini’s resignation letter. The letter gives no reason for his sudden resignation, or so it would seem. To download PDF version, Click Here! We said it would seem not to give a reason but if you look at who he sent copies to, one was The JQC, Florida Judicial Qualification Commission. The only reason he would send a copy to them would be if he had pending ethics charges before them. His resignation would end any jurisdiction they had over him. Judge Contini is now the sixth judge from Broward to resign or take early retirement since the beginning of the year. Judge Claudia Robinson resigned her position as county court judge, effective February 12th, 2018. The beginning of April circuit court judge Lisa Porter sent a letter to Florida governor Rick Scott, resigning her position effective June 30, 2018. In April, Chief Administrative Judge Jack Tuter told Circuit Court Judge Merrilee Ehrlich not to return to the courthouse because of how she treated Sandra Twiggs. Judge Arlene Simone Backman resigned this month effective immediately. Her husband judge Paul Backman resigned effective December 31, 2018. Broward County Circuit Court Judge John Contini Has Resigned. Good riddance! You had no business being on the bench in family law. You are not impartial. You’re biased and unfit to carry the responsibilities of a Judge. Just wish you would have resigned sooner…would have saved me a lot of money in legal fees. Enter your email address to subscribe to this forum and receive notifications of new posts by email. Your email address will not be shown or shared. You can be lazy and just use any one of your social media accounts to login. Covert, (Secret) digital recording eye wear devices. Perfect and completely legal for recording police and other public officials who do not have to consent to you doing so .